Zero Tolerance Knives has created yet another professional grade tactical folding knife in the Zero Tolerance 0350TS with Tiger Stripes and assisted opening. These durable, America-made knives are the first choice among military, law enforcement, fire and rescue and first responder personnel. Those needing a knife in critical situations can depend on the knives of Zero Tolerance to cover their needs. The 0350TS is forged from Stainless S30-V Steel with tiger stripes. The Rockwell hardness of the blade is 57-59, and the blade length is three and a half inches. 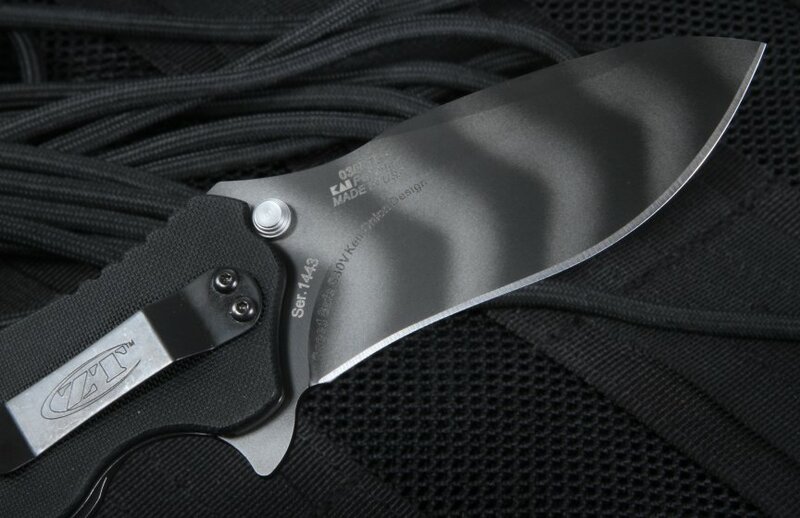 The blade itself has been honed to a razor-sharp edge, perfect for any tactical use. The 0350 is equipped with SpeedSafe assisted opening mechanism, allowing for an ambidextrous one-handed opening. The thumb stud allows easy opening even for those wearing gloves or with compromised dexterity. 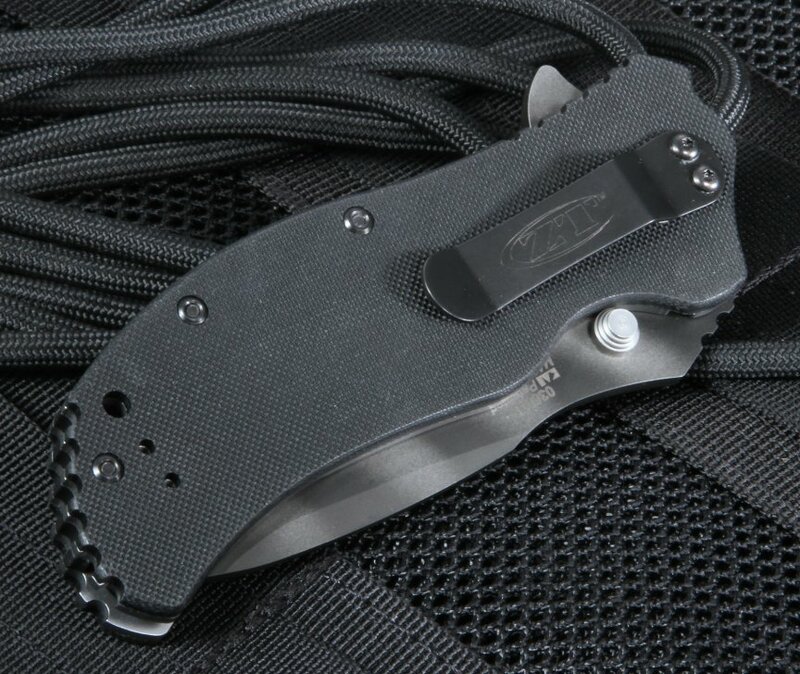 The handle of this EDC flipper is made of textured black G-10, providing a secure grip in any situation. It includes a quad mounting clip system for tip-up, tip-down, left or right-handed clip carry, making it easily accessible for any user. The handle also boasts a lanyard hole, for more versatile carrying options, as well as making it safer when strapped to your hand during use. 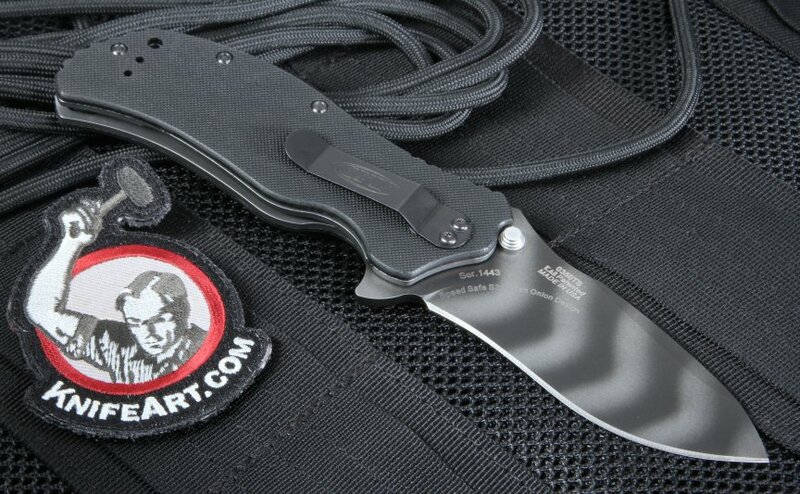 This blade is about 10% smaller and lighter than its predecessor, the discontinued 0300 Series, weighing in at only 5.9 ounces, with a total length of seven and three-quarter inches. Closed, the knife is four and five eighth's inches long. 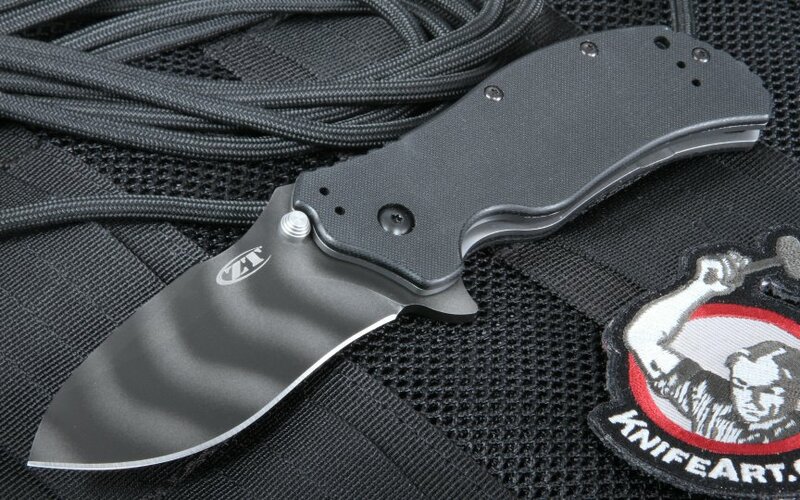 KnifeArt.com is proud to be an authorized dealer of these curated high-end knives and offer fast US shipping. PayPal is accepted for payment. Nice site, great service and quality products. Will buy again here! The knife is superior quality. It is extremely well made. 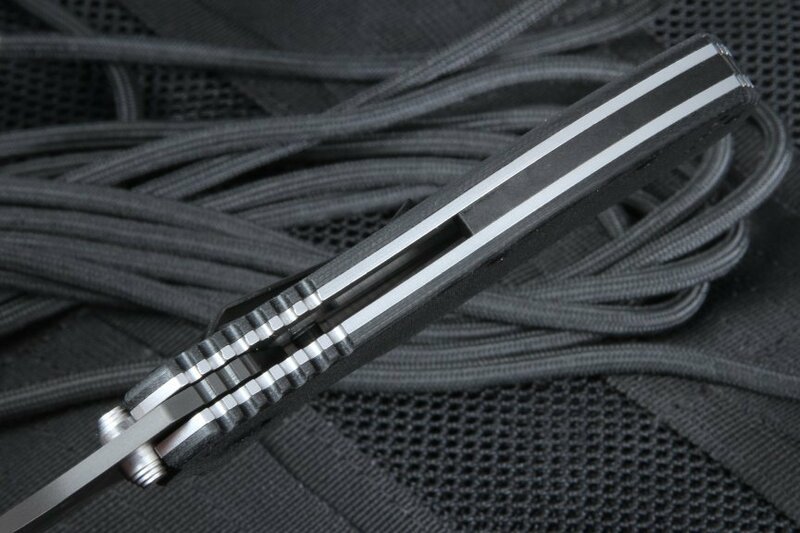 For the average person like me, the knife will probably be the only tactical knife I will need to purchase. Awesome knife fast shipping couldn't be happier great site.